Has anyone asked you recently to share “your story”? Today, I had the opportunity to video chat with a corporate representative from the Beachbody company (makers of P90X and INSANITY). My Team INSPIRE achieved a prestigious rank last week (Two Star Diamond in 8 months) and as a result, I will be chatting with a corporate rep to discuss strategies and goals on a regular basis. This was the first day I had the opportunity to speak with someone from corporate, and it got me really excited about the future. The rep asked me to send him “my story” after our call. Here’s my story. 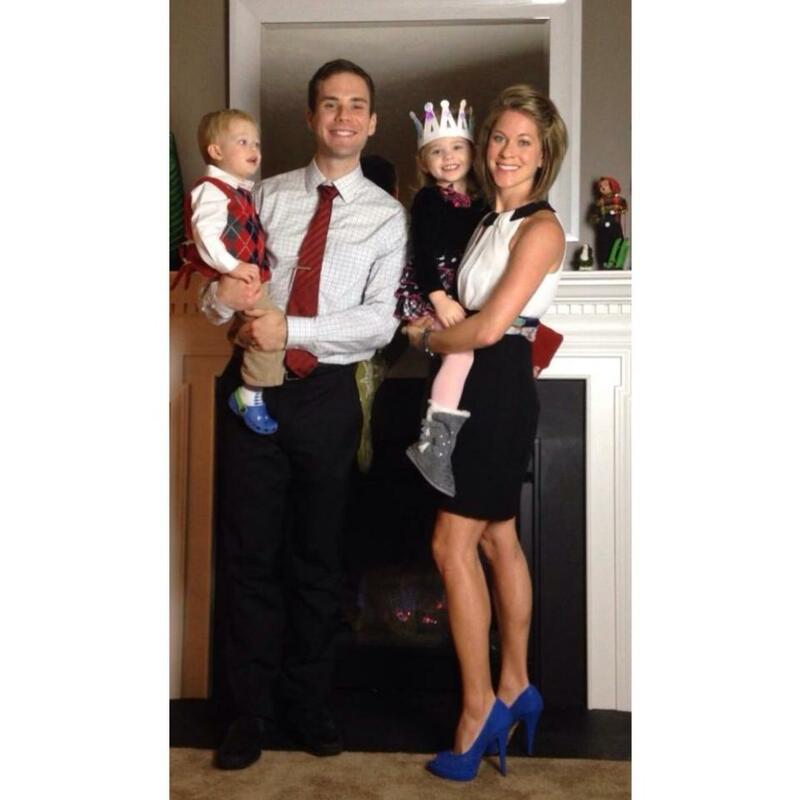 I am a mom of two, personal trainer, wife to my best friend, and digital marketing consultant. I’ve been a trainer for 10 years. I started training clients after I dealt with some health issues in high school and college. I was on blood pressure meds due to a lack of understanding about proper nutrition and exercise. In short, I ate fast food regularly, and did cardio excessively. I was also dealing with a metabolic issue. When I looked around at college, I realized I was the only one in my peer group on blood pressure meds. I decided to take control of my heath care, educate myself on a healthy lifestyle, and wean my self off of meds. Shortly after that, I became a trainer to help other women who were dealing with similar issues. I’ve been a digital marketing specialist for nearly 5 years. After college I worked for a great organization and learned extremely valuable marketing strategies. However, two years ago, I was finding my job to be very stressful and taking time away from my family. I was overworked and underpaid. After a lot of discussion with my husband and tons of prayer, I decided to step down from my full-time position and become 100% self-employed in the fitness industry and to also ramp up my own marketing company. I made this decision 1 month before my second baby was born, so you can imagine it was quite a leap of faith. Well — let’s just say that I set my family up for quite a year of excitement. Within a year of becoming 100% self-employed my business was absolutely booming. I also sold our house and built our dream home while I was ramping up my new marketing company. My marketing company clients ranged from ecommerce start-ups, to apparel companies, to small fitness businesses, to universities, and much more. Sometime around the end of April when I was installing a pool, juggling what seemed like hundreds of clients and contractors, and bringing in more money than ever before, I hit a wall. I was once again overworked and I was simply trading dollars for hours. Excessive work hours were costing me my health, family time, and happiness. Working excessive hours was an expense I could no longer afford. I decided to make a change and fire all of my high paying, high maintenance clients and focus on passive income generation. Last summer, I read a book by Robert Kiyosaki called “Business of the 21st Century.” In the book, he discussed the importance of passive income and the wisdom of partnering with a network marketing company for a stream of residual income. I considered a few of the popular network marketing companies in the wellness space. Watch this video I recently filmed about the importance of passive income. Did you know that the average millionaire has 7 streams of income, and at least a couple of those are residual income streams? For 10 years I’ve been extremely passionate about fitness and helping others become the best version of themselves. I decided to research some network marketing companies in the wellness space. Companies like Advocare, Isogenix, and Beachbody. Long story short – as a company, Beachbody came out far ahead of the others on my comparison chart. And In fact I’ve been using the INSANITY moves in my boot camps and with clients for years. Even though Beachbody hasn’t been around for too many years they far surpassed these other companies in terms of success. I reached out to a friend of mine who I knew was a Beachbody coach and I asked her for information about her Beachbody partnership. I also asked her how much residual income she generated. She responded by saying how much she loved what she did and how it didn’t even feel like work – that sounded good to me. And then she proceeded to tell me about her significant salary. She had my ear. We chatted and I enrolled as a Beachbody coach a few days later. 5 days after I enrolled, using good marketing strategies and my passion and enthusiasm for helping others, I enrolled 15 ladies into my organization and earned Diamond rank. I formed Team INSPIRE (we are now 218 strong). This would start one of the most amazing experiences and communities I have ever been a part of. As a team, we decided that we were going to implement effective digital marketing strategies versus spammy strategies on our social media platforms. We also committed to focusing on genuine relationship development. I want to tell you a bit about why I believe Beachbody is the perfect company to partner with at this moment in our economy, and then more about what we do as coaches. As a marketing and branding professional, I am always noticing companies who do a great job of marketing themselves and have a great amount of brand awareness. Well, you can bet that Beachbody is one of the best companies I’ve encountered in terms of brand awareness. If you ask 100 people on the street if they have heard of the P90X or Insanity programs, 90 will say, yes. The brand awareness is there. People have heard about and/or potentially considered the Beachbody programs or the Beachbody coaching opportunity for years. As Beachbody coaches, we are able to capitalize on the fact that people are already planning to try these programs. We are now here to help them reach their goals via the programs. Another reason that I am so thankful I partnered with Beachbody is because they provide a lot of flexibility for branding and marketing in our own unique way. Everyone on my Team INSPIRE is building out a fitness business and brand based on the unique purpose that drives their brand. We are not expected to follow a cookie-cutter plan of how to market ourselves or our Beachbody businesses. I’ve had all the flexility I need to stay true to my own brand, while also distributing Beachbody programs and building out a team. 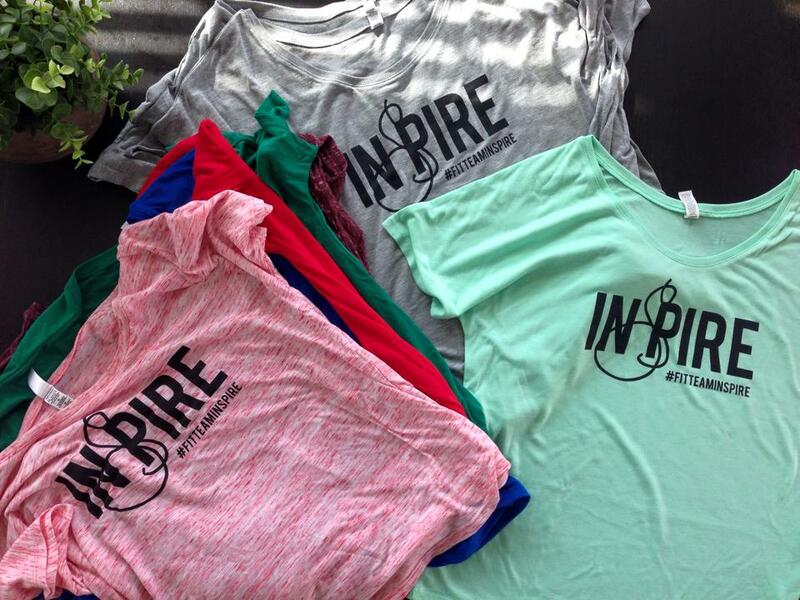 Our brand new Team INSPIRE shirts! So, what do we do as coaches? As coaches, we are here to keep people accountable to following the Beachbody programs and help them stay on track with nutrition. The Beachbody company realized early on that individuals were purchasing their programs, but many were not following through if they did not have someone to answer to. They started the coaching program to fill a gap in the accountability component of their business. You have likely seen “challenge group” announcements online. As coaches, we get small groups together to try the Beachbody products. We are able to collect 25% commission from the sale of the challenge pack which is great. We are a resource and motivation for the clients. We are also building out our individual teams and organizations to influence as many people as possible in the most effective way we can. We empower, uplift, and inspire our clients to complete the Beachbody programs with daily check-ins, consults, and social media touch points. It’s a true joy to come along side our clients to help them stay accountable. And watching someone successfully reach their fitness goals is one of the most fulfilling things in life. Here’s what I’ve gained from my partnership with the makers of P90X and INSANITY over the past 8 months. Options for my clients. I am able to offer Beachbody programs and meal plans as part of their investment in my business. “Permission” to focus on my own brand. For years I’ve been focused on helping my clients ramp up their brands. This past year, I’ve shifted my focus to my own fitness brand. Freedom to work wherever I want and whenever I want. Biceps — haha, seriously. This year I’ve had more time and motivation to focus on my own fitness. And many of the Beachbody workout programs are great. Shakes — as a fitness professional I love the shakes and the nutrition component (meal plans to offer my clients via my partnership). Truthfully I have eaten the shakes two times per day for the past few weeks. If you haven’t watched my honest review of Shakeology – be sure to check it out. Community. I don’t know about you, but in the fitness industry, I sometimes felt like I was on an Island with not support. With my Beachbody Team INSPIRE I have a huge group of supportive and likeminded women. I’ve developed some amazing new friendships and I am so thankful for my team every day. A generous salary – we are paid weekly. This past week, $1,200 was deposited into my bank account. Focus – my partnership with Beachbody has helped me become more focused in my own goals and personal development. My personal mission and vision is clearer than ever before. Free leads – Beachbody funnels free leads and customers to leaders within the company. Balance – I truly feel like I’ve gotten my life back. Instead of trading hours for dollars, I’m able to generate residual income and spend more time with my family. Does a partnership with Team INSPIRE and Beachbody sound intriguing to you? Anyone can get involved and the start-up cost is the price of a workout program ($140-$160). Who are we looking to partner with? In short – good people. On Team INSPIRE, we are looking for people who are truly passionate about helping others. We hope to partner with professionals who can stand behind our mission which is to service our clients with a customized and supportive approach to help them reach their individual fitness and nutrition goals in the quickest and most effective way possible all while maintaining a positive body image and healthy balance. We seek to be the most professional and influential fitness community in the US and Canada. We are passionate about serving our clients and building our businesses with sound marketing strategies. We are committed to helping our team members and clients become the very best version of themselves. Last — IF you are considering this business opportunity, NOW is the perfect time to join. The spring is a prime time to market and brand yourself as a fitness enthusiast and professional. Everyone in America will be hoping to slim down for the summer. You should be there to work with them and support them along the way. If you would like more information about a partnership with Team INSPIRE, please fill out the form below. I look forward to chatting with you. Bikini Boot Camp: Register Now!